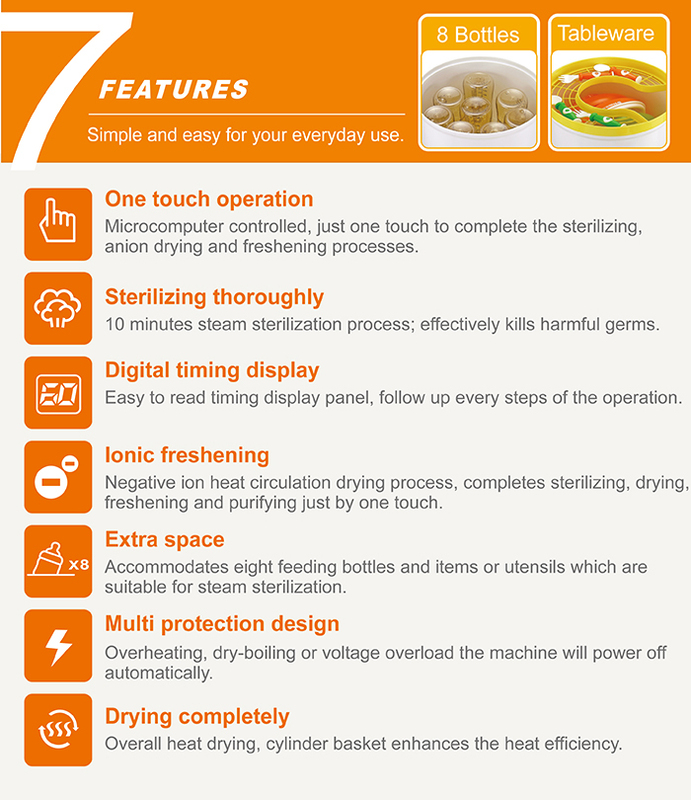 1.One touch operation─Microcomputer controlled, just one touch to complete the sterilizing, anion drying and freshening processes. 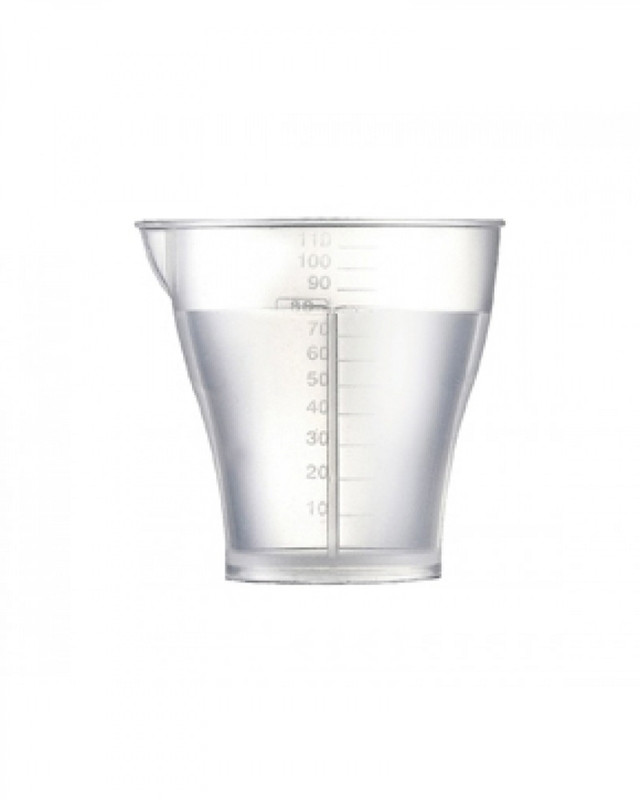 2.Drying completely─Overall heat drying, cylinder basket enhances the heat efficiency. 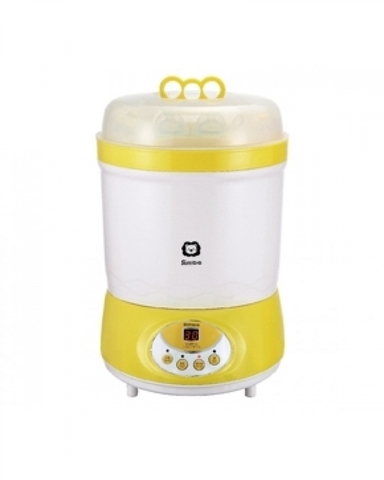 3.Sterilizing thoroughly─10 minutes steam sterilization process; effectively kills harmful germs. 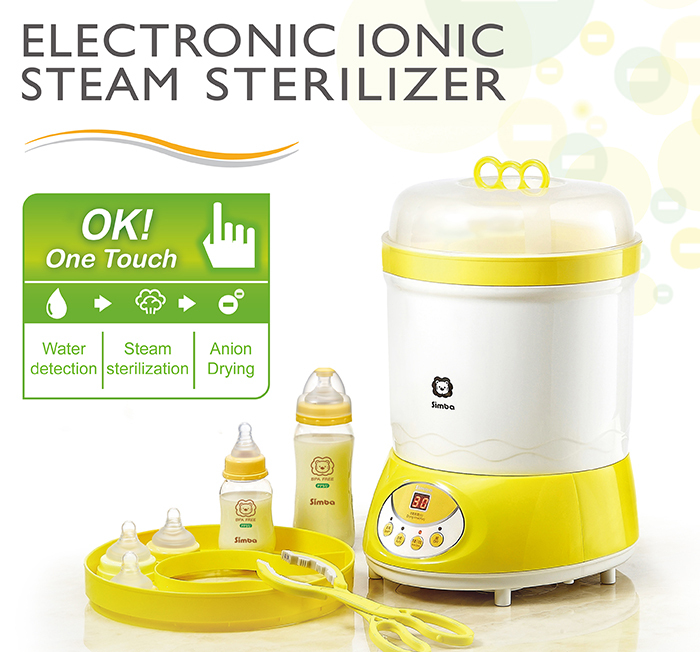 4.Ionic freshening─Negative ion heat circulation drying process, completes sterilizing, drying, freshening and purifying just by one touch. 5.Digital timing display─Easy to read timing display panel, follow up every steps of the operation. 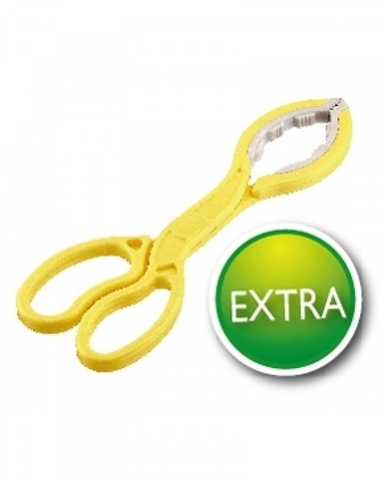 6.Multi-safety design─Multi safety design with BSMI Certificate to secure everyday use. 7.Extra space─Accommodates eight feeding bottles and items or utensils which are suitable for steam sterilization.